A brand’s unique sustainability story is of great influence in convincing customers to trust, support and stay loyal to your brand. According to Nielsen’s 2015 Global Corporate Sustainability Report, brands that commit to sustainability have grown more than 4% globally while those without grew less than 1%. 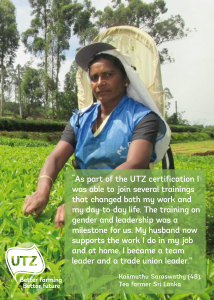 When you are partnering with UTZ, you already contribute to all three pillars of sustainability; people, planet and profit. How can you weave this contribution into your message, in a way that is true to your brand and therefore resonates with your customers? For this you can use the UTZ wheel. Below we walk you through three steps that will help you use this tool to find your unique sustainability story angle. First things first. Take a look at our UTZ wheel or download it here. 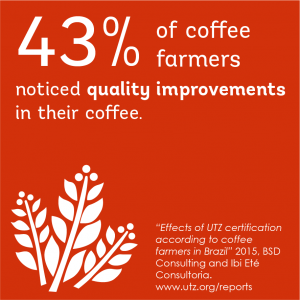 This graphic explains what UTZ does and breaks down the benefits of the program (the impact of our work) in nine easy-to-grasp icons with short explanatory videos. This will help you gain a better understanding of the UTZ program for yourself, which, in turn, will help you explain and use it in your brand communications. The second step is to check where your brand overlaps with the UTZ benefits. 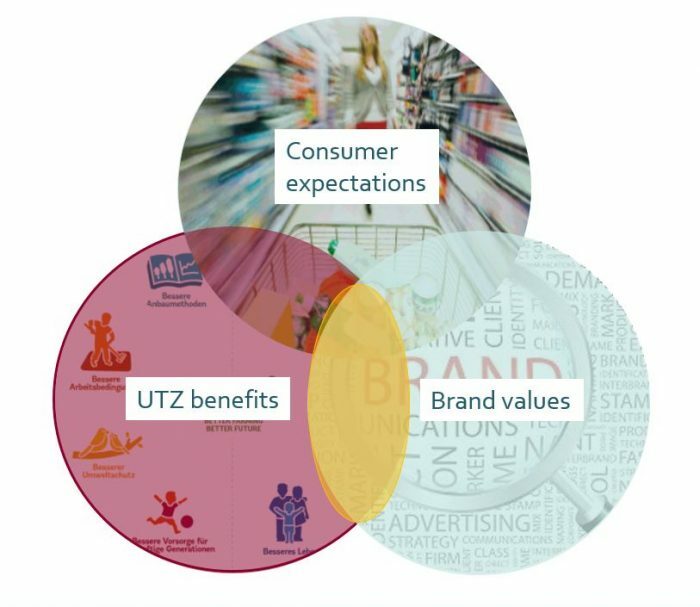 Which elements of the UTZ program fit best with your brand values ? Pick on a few that can help strengthen your story. For example, if the selling point of your brand is the high quality of your product you may want to connect this to ‘better farming methods’ which – when implemented by UTZ farmers – lead to a better quality product. If your brand has a focus on being environmentally conscious or you put more emphasis on the human or social aspect you can link to other UTZ benefits to define the right angle for your story. Combine the overlap with consumer expectations in your market and you have identified the sweet spot that can serve as a basis for relevant sustainability marketing on brand level. Now that you have found your sweet spot, it is time to explore what resources we have that can help develop your sustainability story. Make use of our impact visuals, stories from farmers, infographics or the videos on our YouTube channel to build your story. Check out all our marketing communication materials or drop us line at marketing@UTZ.org. We’d love to hear your feedback on the tool. Marketing sustainability: how do you tell your story?